Brownies are very controversial by nature. The nut-versus-nut-free debate is remarkable in its outrageousness. I do not get caught up in these arguments. Personally, I appreciate good quality pecans, walnuts, or hazelnuts in most recipes. However, I do understand how important it is to respect people who have allergies or aversions to nuts. So I often oblige such nuttiness (or lack thereof). My opinions are stricter on the textural matters of cakey v. fudgy v. chewy. Cakey-ness should be reserved for cakes. This is not so outrageous as a judgment. Case closed. Fudginess can be desirable, given the right recipe and baked to the right consistency. 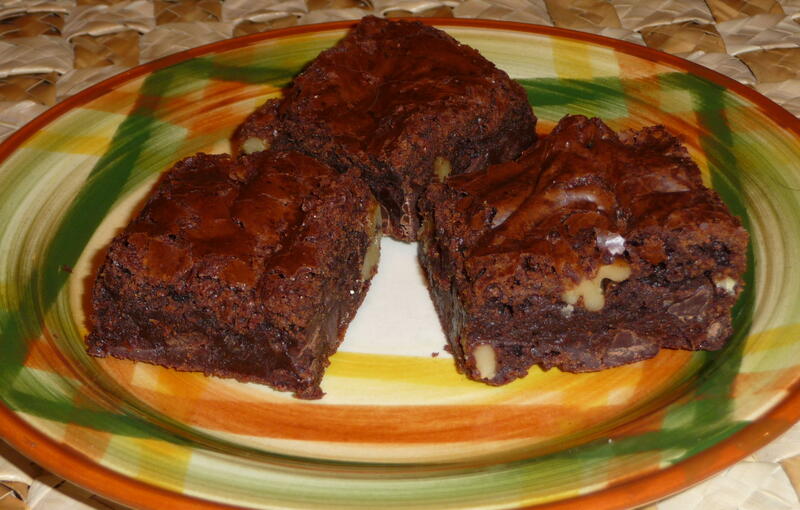 A truly chewy brownie is a rarity. 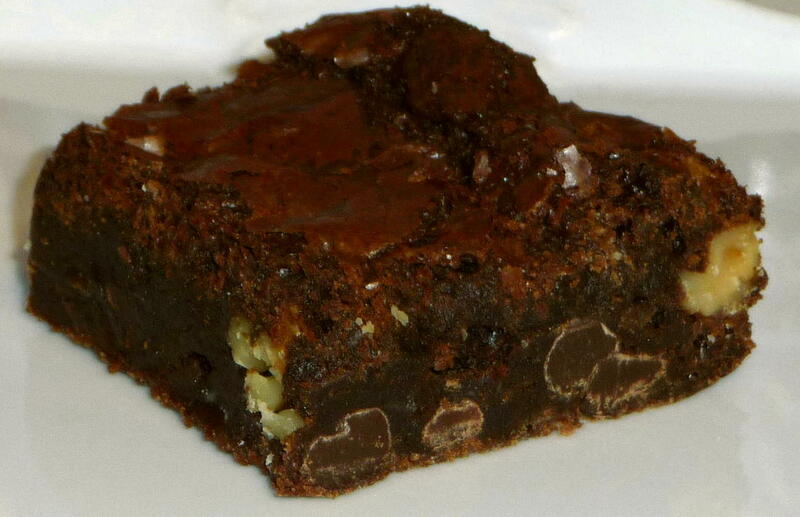 I have tried many recipes for this elusive brownie texture with limited success. As a low-brown counterpart to Proust’s madeleines, I fondly remember chewy brownies from my childhood. I must admit that my brownie palate was greatly influenced by the store-bought, refrigerated, ready-mixed brownie batter. The plastic-sheathed tube of batter was probably better eaten raw than baked. This product did result in a supremely chewy, though bland, brownie. Blandness, of course, is a matter of justifiable outrage in the brownie world. For special occasions, I have one great, singular, show-stopper of a brownie recipe. It is undeniably fudgy. I have adapted it from The Barefoot Contessa cookbook. Ina Garten called them appropriately, “Outrageous Brownies”. The espresso powder is key to creating a dark, rich depth. Although one could use more prosaic instant coffee (as Ms. Garten indicates), I do not; espresso imparts a decidedly better flavour. Chocolate chips and nuts provide a chunky counterpoint to the intense fudginess of the brownie, topped off by the classic flaky, paper-thin pale-cocoa-coloured layer (the brownie epidermis? ).